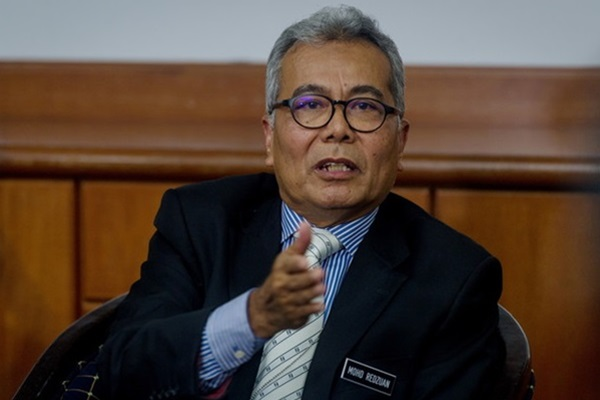 KUALA LUMPUR, April 14 (NNN- Bernama) — Minister of Entrepreneur Development, Datuk Seri Mohd Redzuan Md Yusof, will undertake a working visit to Manama, Bahrain on April 14-16 2019, and Sarajevo, Bosnia and Herzegovina from April 16-21, 2019. These are his first official working trip overseas for the year. The Honourable Minister will represent the Government of Malaysia at the Startup Nations Ministerial Meeting in Manama, Bahrain, on April 15, 2019. The Ministerial Meeting, which is being organised jointly by the World Bank and the Global Entrepreneurship Network (GEN) for the fourth consecutive year, will also be attended by the Prime Minister of Sri Lanka and Ministers from Bahrain, South Africa, Indonesia and Kuwait, among others, said a statement from the Ministry of Entrepreneur Development (MED). The meeting is expected to discuss a number of key issues pertaining to the development of the startup ecosystem in participating countries, including the role of governments, as policymakers in creating an enabling environment that nurtures entrepreneurship, particularly startups; putting in place the appropriate technological framework to spur economic growth and create job opportunities; as well as addressing specific challenges in driving innovation and creating novel technological solutions that are key to ensure the growth of startups. The Minister will also be participating in a Panel Session and sharing his thoughts on Entrepreneurship Policy Lessons and the Latest Policy Approaches to dealing with regulatory challenges. In addition to participating in the Startup Nations Ministerial Meeting, Redzuan will also hold bilateral meetings with his counterparts from Bahrain and senior officials from GEN. These meetings will provide an opportunity for Malaysia to pursue global collaboration to further develop and strengthen the country’s startup ecosystem. The Minister will then proceed to Sarajevo to participate in the Sarajevo Business Forum (SBF) and the Malaysia Entrepreneur Halal Carnival (MEHC) 2019 from April 16-21, 2019. SBF is an annual international business and investment conference that is organised by the Bosnia Bank International (BBI). SBF connects public institutions and private investors from all over the world with the business community and project owners from Bosnia and Herzegovina, Albania, Croatia, Macedonia, Montenegro, Serbia and Slovenia. It provides an essential platform for business networking, with a specific focus on trade and investment opportunities in the Southeast Europe region. According to the statement, Redzuan would also officiate the opening ceremony of MEHC, a showcase jointly organised by MED and the Bumiputera Manufacturers and Services Industry Association of Malaysia (PPIPBM), in conjunction with the SBF. MEHC will take place from April 18-20, 2019 at the BBI Centar, Sarajevo, Bosnia and Herzegovina. A total of 34 Malaysian companies from various sectors such as food and beverages, personal care, cosmetics and pharmaceutical products will be participating as exhibitors in MEHC. With a population of 3.8 million people, Bosnia and Herzegovina is a strategic location for Malaysian halal products and services, particularly those that are eyeing the lucrative markets in the Balkan Region and Southeast Europe.